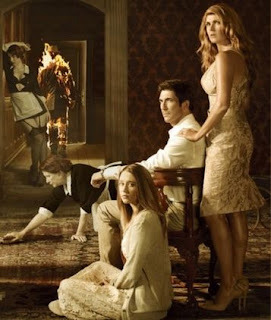 American Horror Story Fan: Ben finds out Violet is dead... this is going to be heartbreaking! Ben finds out Violet is dead... this is going to be heartbreaking! After watching the sneak peek video I can't get over the heart breaking look on Violet's face. She begs and begs Ben to stay home but cannot seem to get the words out: I'm dead! And he, being his normal sensitive self, is just dragging her along not listening to her. Okay, I get that he has had enough with her lack of respect for him - as far as he can see she is still not going to school like they agreed, and he has a lot on his mind with Vivien, the mental ward, the attack and the twins which will soon be here. But still, ignoring Violet's tears kinda lead her to where she is, right?